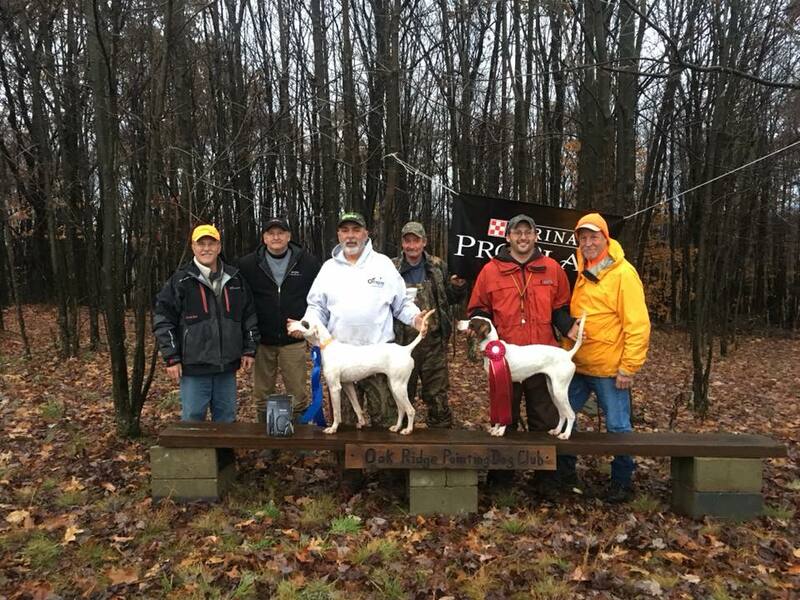 Championship Winners. 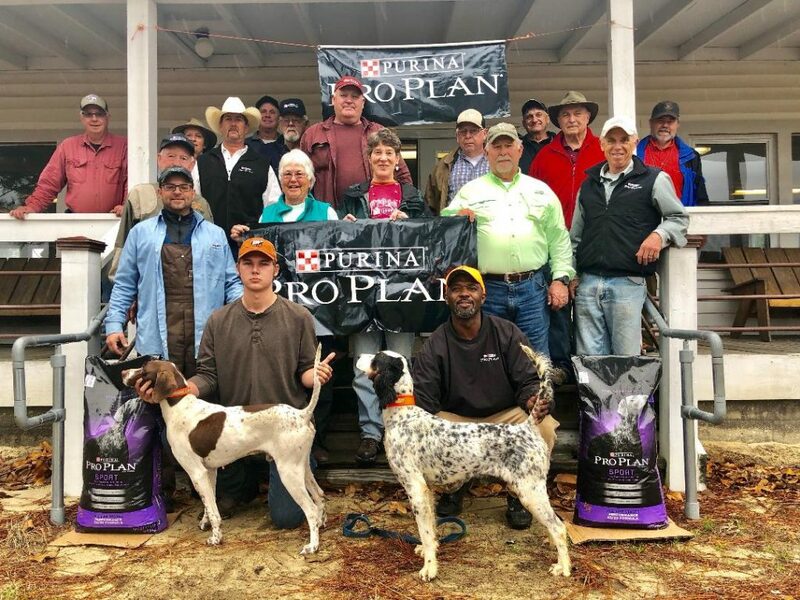 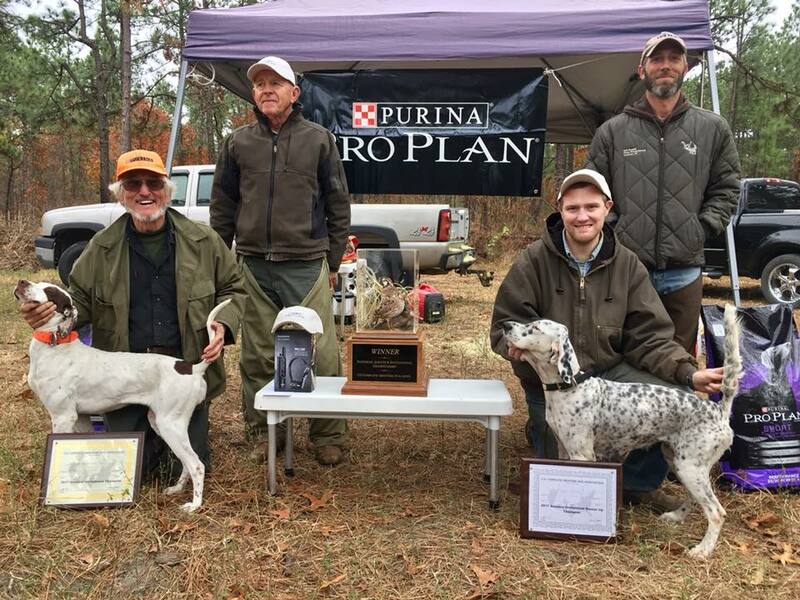 Front (l-r): Richard Warters, Robert Ecker, and Noah Russell with Champion Bo of Piney Woods, Sean Melvin with Runner Up Black River Ruby, Judges Dave Hughes and John Outlaw. 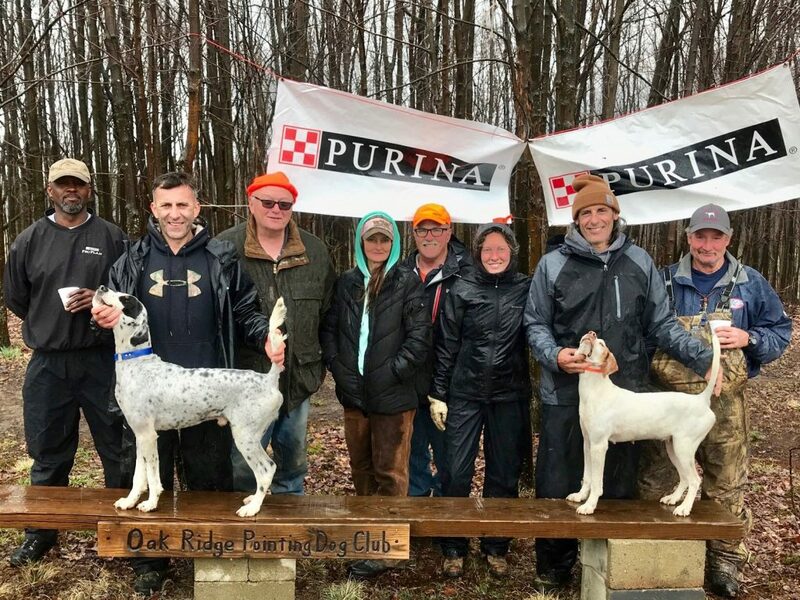 Surrounded by trial participants. 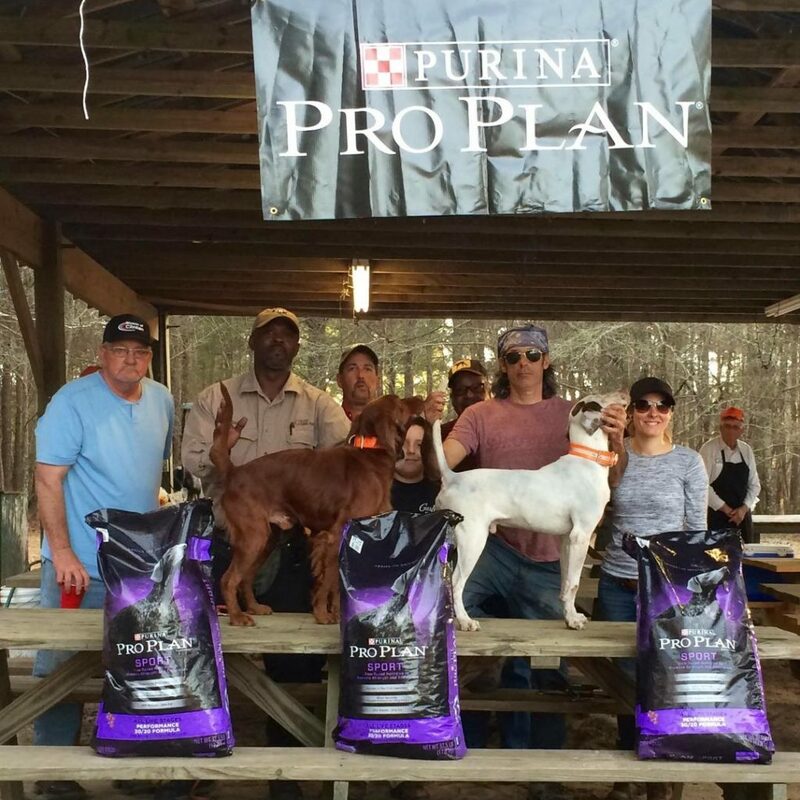 The Winners. 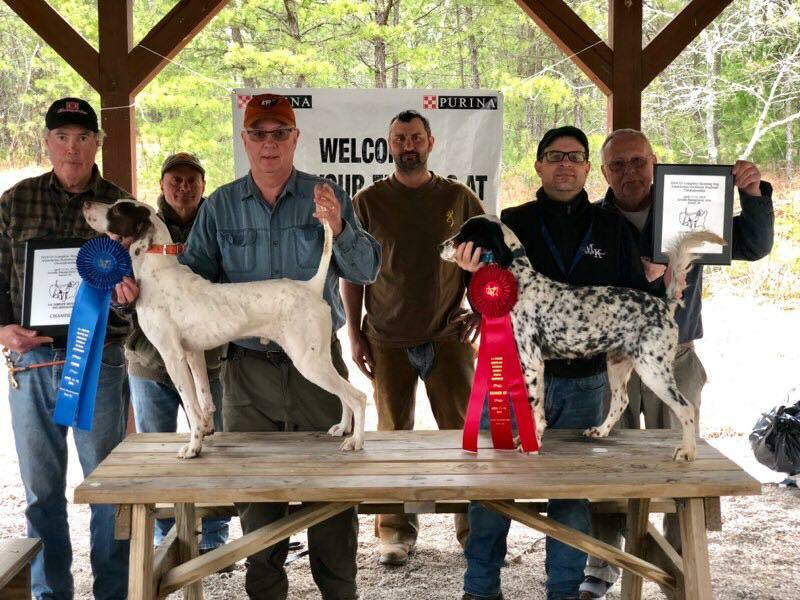 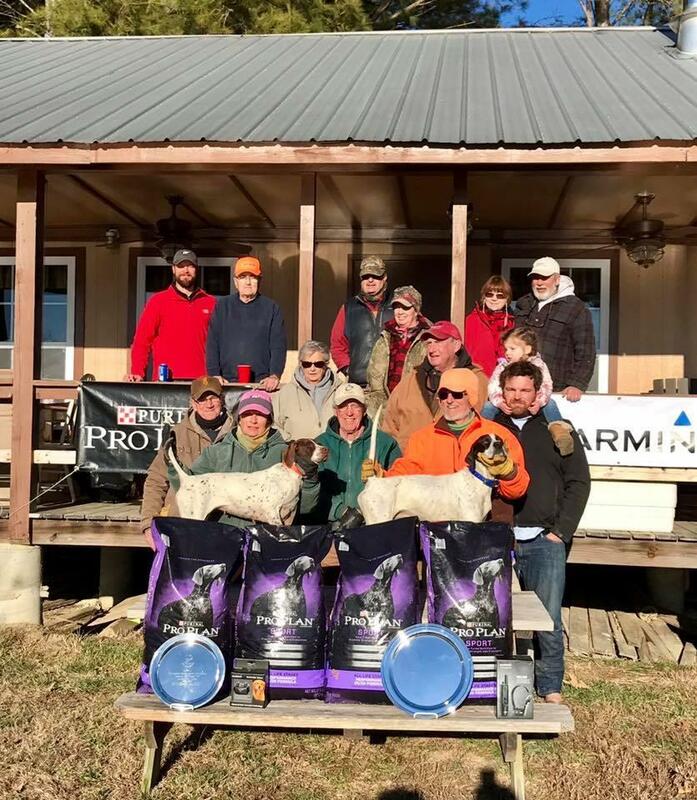 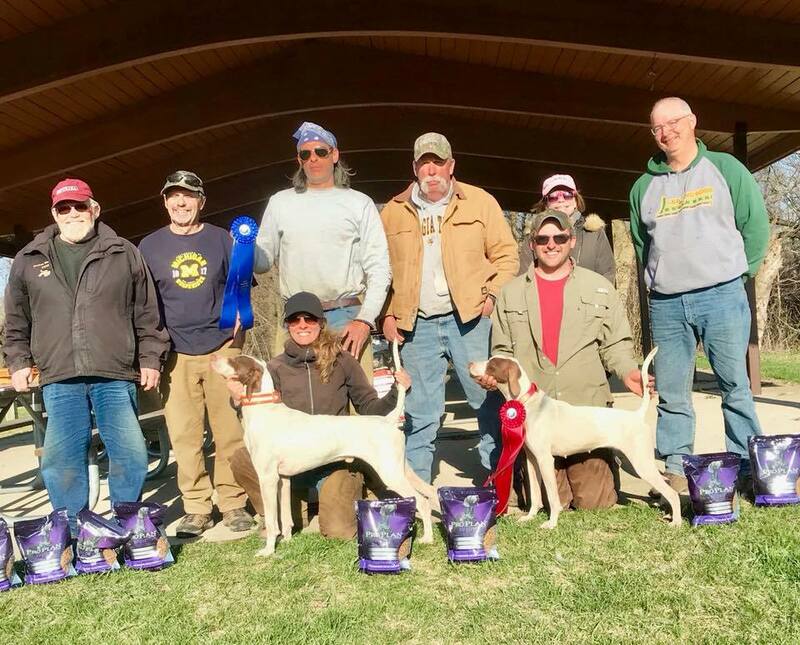 From front left: Judge Bruce Conover, Verlene Stephenson with Runner Up Champion Shadow’s Carolina Molly, Ken Black (Champion handler), Judge Howard Schultz, and Bobby Phillips (scout) with Champion Brown’s Brute Ace.